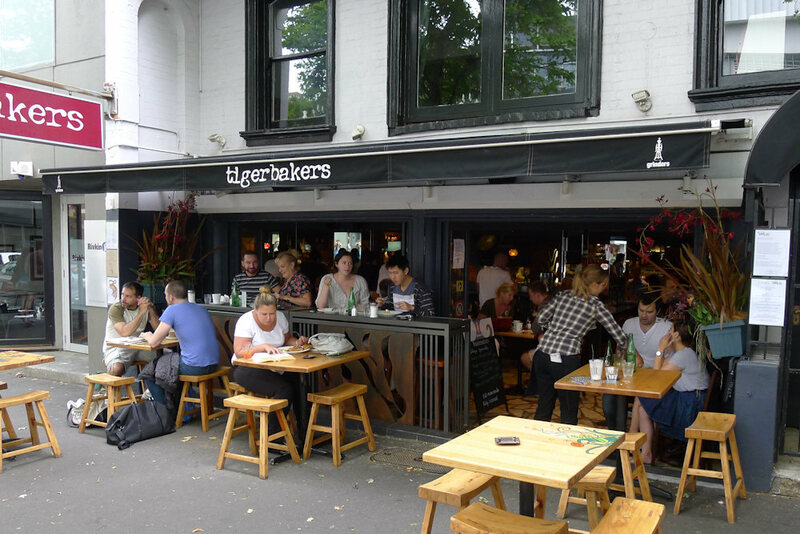 Tigerbakers became one of our favourite cafés after our review in February 2009. They recently closed for renovations and we have been excited to return and see what has changed. There is still plenty of sidewalk seating although some of it has made way for a street-facing counter. The quite open floor-plan is now replaced with at least two more of these counters giving it quite a different feel inside. I preferred the original concept but seeing that tigerbakers is now open for drinks and bar food from Wednesdays to Sundays, the new layout is more suitable. As before, we found the service to be prompt and friendly. The breakfast menu has not changed at all (including the prices which was a nice surprise) and on the lunch menu the main difference was that the chickpea and tofu burger has been replaced with the seared tuna burger ($14.90). The skim cappuccino ($3.50) hit the spot. 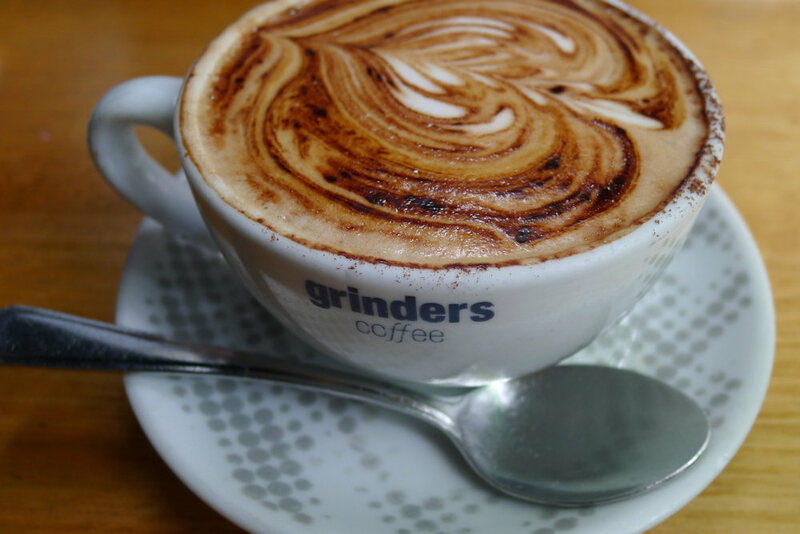 As before, tigerbakers remains one of the Kings Corss/Darlinghurst institutions that guarantees a good coffee. 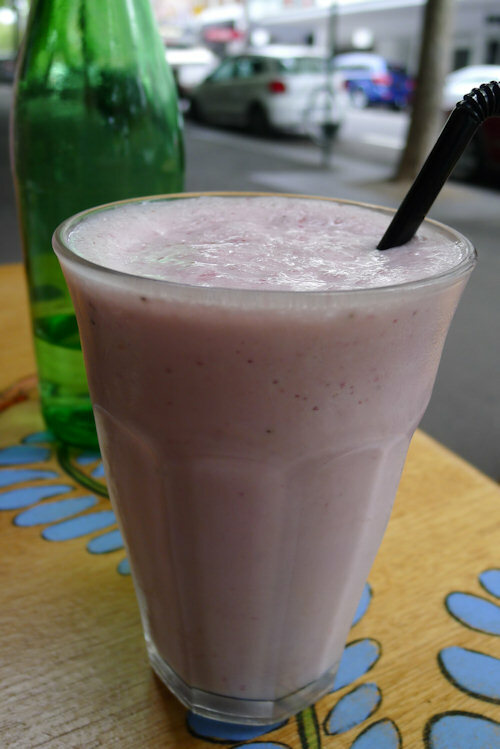 Although the strawberry smoothie ($6.50) did indeed taste good, the strawberries used had been frozen and didn’t taste as fresh as I had hoped. The thickness and other flavours were great though so please tb, use some more fresh strawberries! Other guests next to us ordered a pineapple and apple juice ($4) which also obviously was not fresh. Tigerbakers seem to be slowly aiming towards the bar crowd. The grinning eggs and sausage were a great sight as the jumbo breakfast ($14.50) was laid down infront of me. The eggs can be ordered any way and these poached ones has been cooked perfectly. The brown toast seemed to have been buttered too early and was very soft, breaking apart when I forked it. The softness actually did work well though as it meant that when I put the egg on top and tried to cut through, I didn’t need the forearms of a lumberjack like you do with toast at many Sydney cafés. The hashbrown was also quite soft and moist inside but had a delicious crispy coating. The bacon tasted good but was slightly dry and there simply wasn’t enough (although for this price one can hardly complain). The mushrooms tasted great – they featured an abundance of pepper which complemented them well. 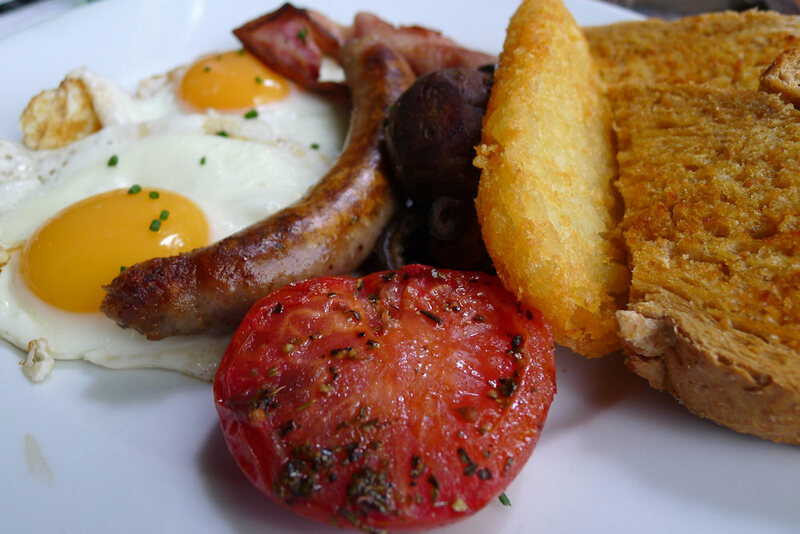 Regular readers will know that I am very fastidious about my breakfast sausages and while there was nothing extraordinary about this one, it had a good snap and I’m more than happy to recommend this dish to other hungry patrons! Is this one of those times when you want to reach into your screen and grab some of that food? 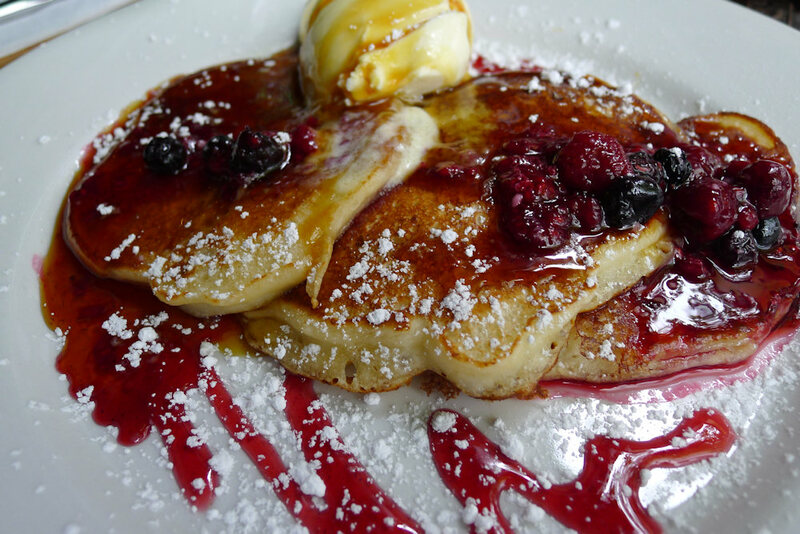 The ricotta hotcakes ($13.90) looked fantastic and tasted even better. The pancakes themselves were light and soft, dripping with golden syrup and berry compote including cranberries and blueberries. This alone would have been enough but the addition of the creamy marscapone makes this an even tastier and more indulgent dish. A must for sweet-tooths! Tigerbakers remains a fantastic (all day) breakfast location. The menu has some unique dishes that are prepared well which is what counts. The only thing missing is a fruit-juice machine! The combination of friendly staff and a relaxing atmosphere works well and keeps the locals coming back. Sunday is quieter than Saturday so if you want to have a slow breakfast go then, while the rest of the Cross is recovering from the night before.